Senior IT officials confirmed that of the estimated 20 lakh entities registered on these exchanges, over 4 lakh were operational and were carrying out transactions and investments in virtual currencies. The Income Tax (I-T) Department is set to issue notices for suspected tax evasion to over 4 lakh high networth individuals (HNI) across the country who have been trading and investing in bitcoins. Officials of the I-T department had last week carried out surveys at nine exchanges dealing in virtual currencies to look into instances of tax evasion. Senior IT officials confirmed that of the estimated 20 lakh entities registered on these exchanges, over 4 lakh were operational and were carrying out transactions and investments in virtual currencies. The survey operations were undertaken for gathering evidence for establishing the identity of investors and traders, trace the transactions undertaken by them and identify counter-parties and bank accounts used by them. The investigation wing of the IT department in Bengaluru, which supervised the operations, has now dispatched the information of individuals and entities found these databases to eight other such wings across the country for detailed investigations. Those individuals and entities whose records were recovered by the department are now being probed under tax evasion charges. Notices are being issued and they will have to pay capital gains tax on the bitcoin investments and trade, a senior official said. The notices to HNIs and their business entities will first seek their relevant financial details and subsequently establish if there is a case for raising a tax demand. 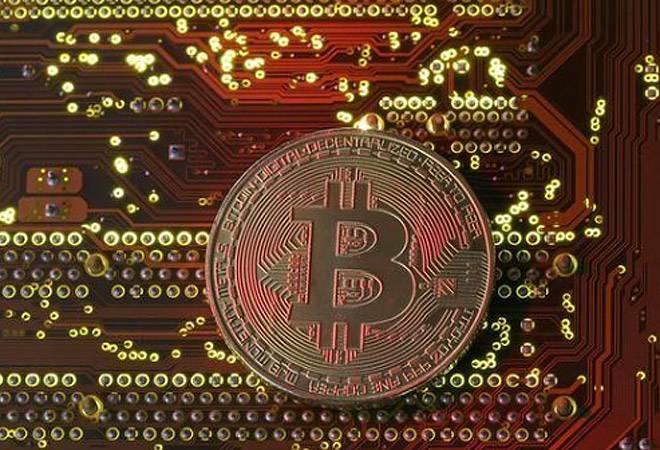 As bitcoins or virtual currencies (VCs) are illegal and unregulated in the country as of now, the IT department has taken action as per the existing provisions of the Income Tax Act, officials said. A survey action under the IT law pertains to the tax officials making a surprise visit to the business premises of the party under action but not their residential ones. The action has been initiated in view of the sudden surge in the value of bitcoins which is expected to have led to huge capital gains for individuals and business entities registered for the purpose. Suspected black money being converted into white, post-demonetisation, through the use of bitcoins was also under the department's scanner, officials said. Earlier this month the value of a bitcoins had leaped to a phenomenal USD 20,000 from USD 10,000 at the start of the year. Bitcoin, which is a virtual currency, is not regulated in the country and its circulation has been a cause for concern among central bankers the world over for quite a while now. The Reserve Bank of India (RBI) has also cautioned users, holders and traders of virtual currencies. The government has also said that it does not recognise 'crypto-currency' as legal tender in India. Minister of State for Finance Pon Radhakrishnan on Monday informed the Lok Sabha that the government does not maintain any data related to virtual currencies such as Bitcoin . In a written reply, Radhakrishnan also said a committee constituted by the Department of Economic Affairs to take stock of the present status of virtual currencies in India and globally has submitted its report. The committee had been asked to examine existing global regulatory and legal structures governing virtual currencies and suggest the framework for regulation of these currencies, the minister said. The minister was replying to a question whether crypto- currencies such as Bitcoins are used increasingly during the past few years and if the government has received any complaint regarding misuse of virtual currencies. The minister further said the Reserve Bank has also cautioned from time to time to users, holders and traders of virtual currencies about the potential financial, operational, legal and security related risks.